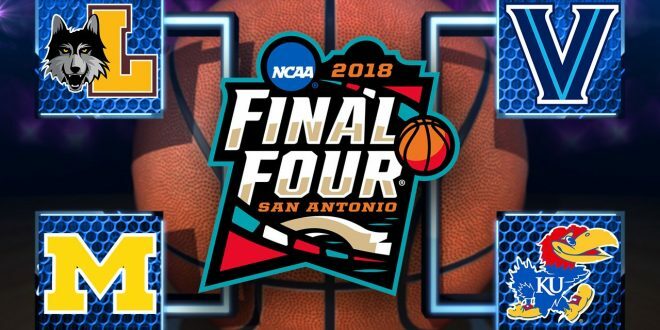 March Madness is down to it's Final Four teams. The underdog is perfect for any story and in the sports world, they just keep destroying basketball powerhouses during March Madness. Coming into round one of the NCAA Tournament, favorites were always picked out to make it to the Final Four. Virginia, Arizona, and other top-ranked schools were deemed ticket holders to the big game. Those schools suffered a huge blow and an early exit from the tournament, but it wasn’t from an equal opponent. Virginia, the No. 1 team in the nation, lost to the University of Maryland-Baltimore County 74-54. It was by far the biggest collapse of a top-seed in NCAA basketball history. With the win, UMBC became the only No. 16 seed to defeat a No. 1 seed in NCAA history. Arizona felt a similar fate, as they lost to Buffalo 89-68. The major difference between the two is that Arizona is stacked with future NBA talent. Potential No. 1 pick in the upcoming NBA draft DeAndre Ayton was sent home early, along with Allonzo Trier and Rawle Alkins, who can be good role players at the next level. No one expected these two programs to take an early exit, not even Virginia and Arizona. Both squads played down on their lower-ranked opponents and were ultimately upset in the process. Although UMBC and Buffalo grabbed unprecedented wins in the first round, they were immediately ousted the following week. Those were just two Cinderella squads, but a third is still in the mix for its first national championship since 1963. The Loyola-Chicago Ramblers have had an unbelievable journey to the Final Four, along with the help of Sister Jean, the team’s chaplain. Sister Jean has captivated the entire month of March, as she gave her “blessing” to the Ramblers. Her blessing has been exactly as advertised, as the Ramblers have taken down Miami, Tennessee, Nevada, and recently Kansas State. The odd statistic of this Cinderella story, is that their first three wins came by one point. As a No. 11 seed, nobody saw the Loyola-Chicago coming. Villanova, Kansas, and Michigan are not going to take the Ramblers light as they are the real deal. Of the four remaining teams, Villanova sits atop of them all. The Wildcats claimed the national championship two years ago against North Carolina. It would be in Ramblers best interest to stick with their philosophy, because it has certainly worked so far. They are a balanced squad with the ability to go on a shooting streak at any given moment, currently shooting 40 percent from beyond the arc and about 51 percent from the field. According to Bing, the Ramblers have a 39 percent chance of defeating Michigan this weekend. The Wolverine’s weakness is the strength of Loyola-Chicago, as they struggle putting the ball in the basket at an efficient rate. If the Ramblers advance to the national championship game and win, it will prove to other mid-major programs that if a team has heart and grit, they can make it far. Many have worn the slipper, but none have brought home the crown. The Ramblers can rewrite the record books with the hoisting of the trophy. Written by Prince Robinson Jr., Staff Writer. Photo courtesy of MGN Online.